It's mind over mine with our DiamondAura® Green Blossoms! 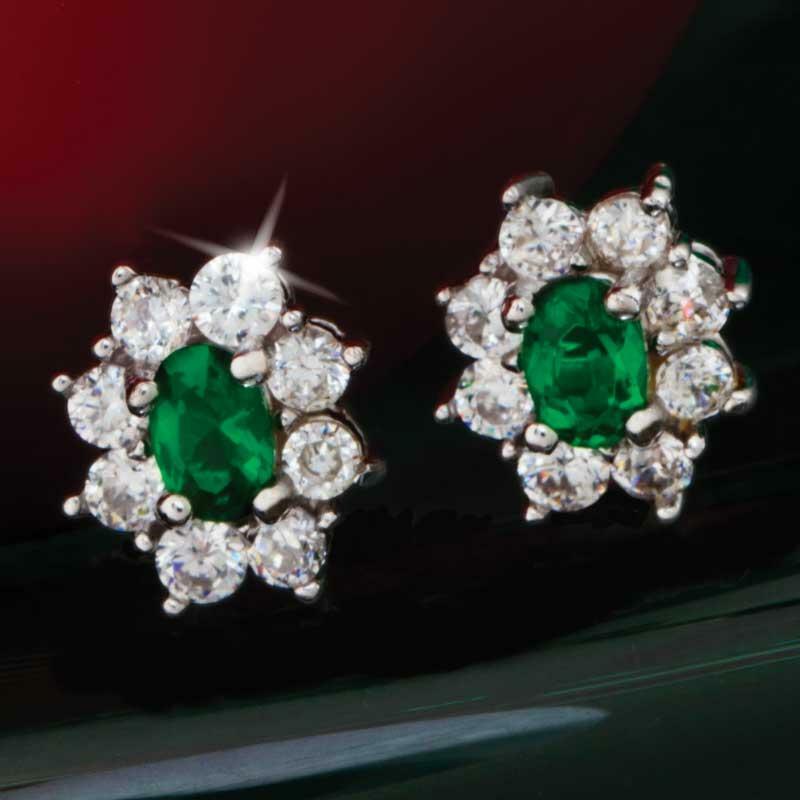 Our oval-cut, green DiamondAura® collection originates from the mind rather than the mine. The result is a high-carat, indulgent adornment that's literally and figuratively green flashing more color, clarity, and fire than natural diamonds, but without the environmental damage sometimes associated with gemstone mining AND without the expensive price tag. We will not bore you with the incredible details of the scientific process, but will only say that it involves the use of rare minerals heated to an incredibly high temperature of over 5000F. The effect is a clear, flawless marvel that looks even better than and has more fire than mined diamonds. According to the book Jewelry and Gems ” The Buying Guide, the technique used in DiamondAura offers, "the best diamond simulation to date... and some jewelers have even mistaken these stones for mined diamonds." Our 3-carat total weight DiamondAura Green Blossom Earrings retain every jeweler's specification: color, clarity, cut, and carat weight. To take advantage of the exceptional clarity of these lab-created stones, we chose a classic oval cut. Rocks this green deserve settings of equal splendor. The centerpiece stones are surrounded by DiamondAura rounds to really play up the breathtaking green sparkle and light-reflecting qualities. Our Earth-friendly, scientifically-grown stones are faultless and inclusion-free, enabling us to create pieces that radiate with vibrant color! This collection may not save the planet, but it will save you a lot of green!